We Know UV Light Causes Cancer, But What About Other Grow Lights? You’ve heard it before, sunlight exposes your skin to the kind of light radiation that causes skin cancer, like melanoma. Skin cancer can be incredibly hard and costly to treat, and can lead to death if left untreated. Yes, there was a good reason your mother warned you to put on sunblock from a young age. What many people don’t know however, is that harmful radiation affecting your body isn’t just being produced by the sun. Anyone exposed to artificial lights that mimic the effects of the sun can be at risk for developing chronic diseases like melanoma, according to the CDC [https://www.cdc.gov/nceh/radiation/ultraviolet.htm], but what about artificial lights that don’t utilize UV? 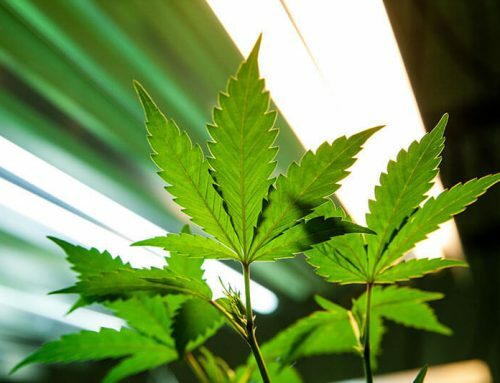 Unfortunately, there haven’t been many studies on the impact that various types of grow lights have on human health, but that doesn’t mean you shouldn’t take proper precautions anyway. What Types of Rays are Harmful? Artificial lights, specifically those designed for indoor horticulture, can produce harmful levels of UV, Visible and Infrared (IR) radiation. While most are aware of the harm caused by UV light radiation, very few are aware of the health effects caused by visible and IR radiation. This means that there is one rapidly growing industry at great risk for exposing its workers to potentially dangerous levels of light radiation; the cannabis industry. Those that work in the cannabis industry, specifically those that work in cultivation, need to be especially careful to decrease the amount of exposure they get to harmful light radiation. The light radiation used in artificial growth operations may be just as, if not more damaging than long-term exposure to sunlight. 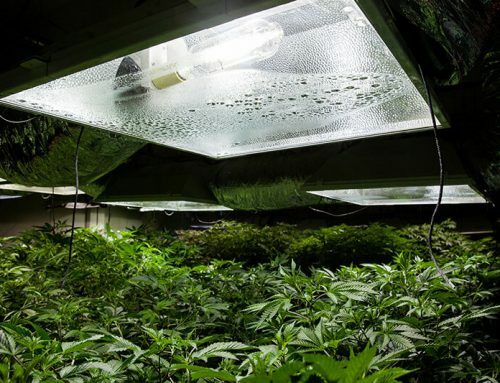 Even if your growing operation doesn’t utilize UV powered grow lights, there are still potential risks involved in any type of artificial light source. IR radiation, can be particularly harmful to the eyes and skin. Also common to the growing industry is Visible light, or blue light, which has been shown to cause irreversible cell damage in the skin. The Industrial Safety & Hygiene News website classifies many different types of artificial light as having significant health risks without proper safety equipment. When it comes to cancer—especially in terms of skin cancer, which can spread rapidly and be hard to treat if it isn’t caught right away—prevention is key. Not only is cancer painful, costly and exhausting to treat with no guaranteed recovery, it can have a major toll on your mental health and the mental health of those close to you. Taking the time to protect your skin from the harmful light radiation you and your fellow growers are exposed too in the cannabis industry means making the choice to protect your future. 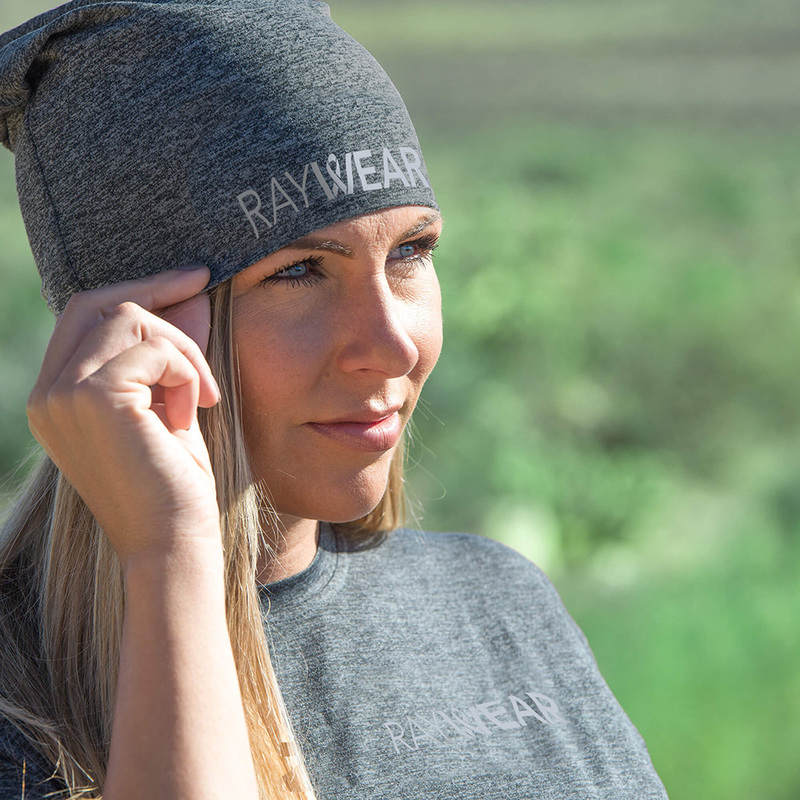 With RayWear, protecting your future is as easy as changing your shirt. When dealing with grow lights your skin and eyes should be properly protected to avoid damage from harmful light radiation. Exposure to UV light is directly linked to skin cancer, but visible light and IR both cause significant damage to the human body, with all three types of radiation (UV, Visible and IR) are produced in modern cultivation environments. 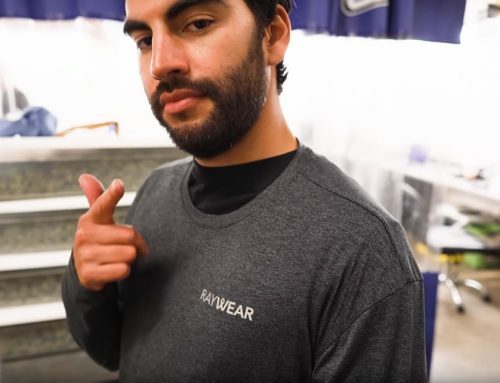 This is why RayWear’s patent pending fabric was designed to protect from all forms of radiation and is the only product on the market designed specifically for growers. The cannabis industry is so new that it hasn’t seen a commercialized market yet. This means that the industry hasn’t had the time to learn from its mistakes or see the small innovations that push other industries forward much faster. Growing operations have pretty much nailed it in terms of equipment, but safety is another story. 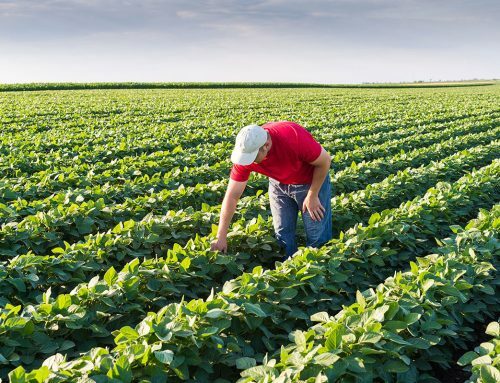 Risks of cancer and other health issues caused by light radiation should be taken seriously by both growers and cultivation operations. The impact health issues created by radiation have on your life are more than just devastating, especially considering the fact that they’re entirely preventable. To stay safe from harmful exposure, make sure your skin and eyes are covered properly with RayWear’s specialized gear.